Courtesy of Matin Haghkar, RE/MAX Plus. Don’t miss out on this amazing luxury townhome! Located in the heart of King of Prussia and in Upper Merion school district! Many of it’s amazing features include: 2 bedrooms, 2 and half bathrooms, highly desirable open floor layout, spacious kitchen with plenty of counter and cabinet space, upper floor laundry, master suite includes its own private balcony along with a generously sized walk-in closet, spacious tiled master bath with 2 vanities, stand-up shower and an ample sized linen closet for all your personal needs, and attached 1 car garage. Experience low maintenance living with an association that includes: common area maintenance, exterior maintenance, snow/trash removal and lawn maintenance. 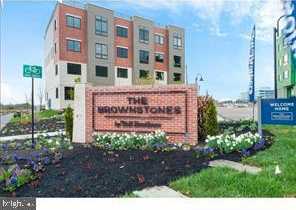 With easy access to major roads/highways (76, 276, & RT 202) and located next to King of Prussia Town Center, experience city living without the city hassle!